Treating the emergent pediatric patient is difficult and time sensitive for even the most advanced healthcare providers. 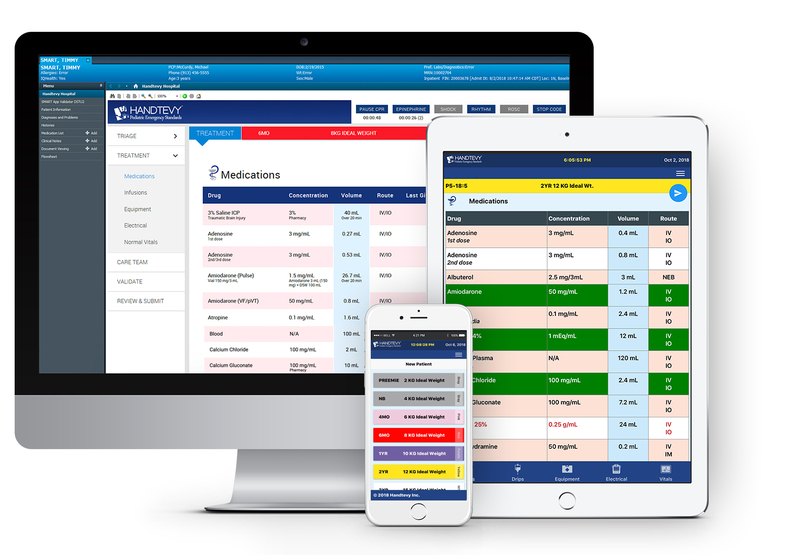 The Handtevy Pediatric System is the leading software solution designed to give clinical teams rapid access to lifesaving dosing information while documenting in real time. Integration with leading EHRs allows clinicians to perform real-time verification for high acuity medications, ensure accurate code room documentation, and facilitate downstream notification to clinical teams. Our team of experts have a singular focus – emergency care for pediatric patients – count on us so your community can count on you! Our pediatric medication errors dropped from 35% to 1.2%. 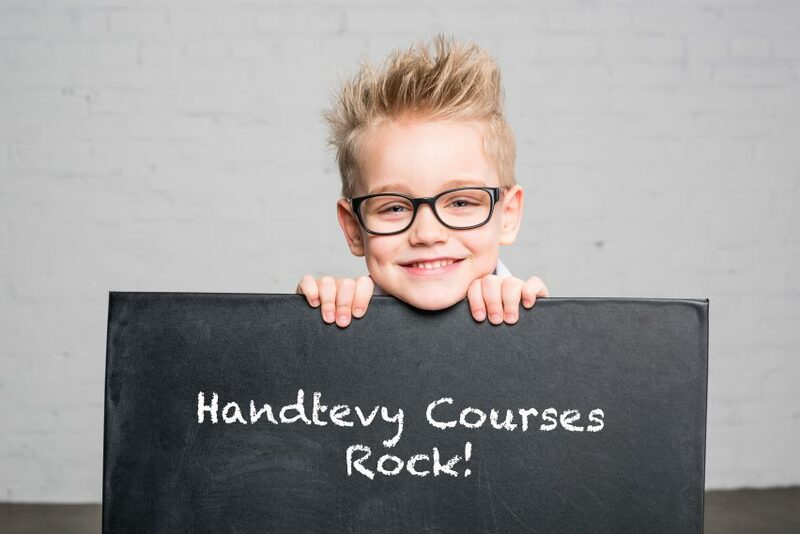 Handtevy has transformed how we care for pediatric patients. Our pediatric intact neurologic survival improved from 0% to 35%. Handtevy Hospital is an easy to use, turn-key, integrated solution that is as simple as downloading an app from an app store. Clinical teams utilize the software’s existing functionality and can configure specific sections to quickly tailor the system to fit their organization’s clinical and administrative needs. This is the best pediatric education I have gotten in 30 years. I left the course feeling inspired, invigorated and ready to educate my entire department. Come visit Handtevy at the exhibitor booth! Dr. Peter Antevy will present at 8:30am - 9:45am and 10am to 11:15am.